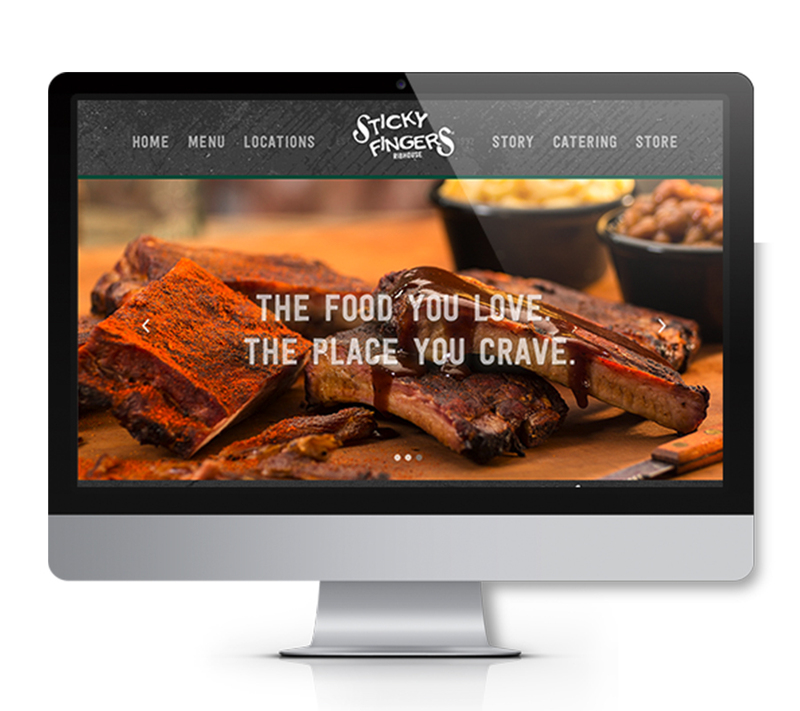 Sticky Fingers Ribhouse (formerly Smokehouse) is a chain of casual fine dining restaurants in the southeastern US. The house that ribs built first started in 1992. And until last year, not much had really changed since then—at least not much in the way of branding. The folks at Sticky Fingers called on our team of creative firecrackers to overhaul the Ribhouse brand from the inside. First, we figured out what makes Sticky Fingers so great. The answer: an authenticity that comes from true southern roots. It’s taking the time to cook Memphis-style hickory-smoked barbecue the right way: low and slow. And it’s a genuine hospitality you can’t find just anywhere. Using that southern charm as a starting point, we collaborated with the team at Sticky Fingers to craft a smart, strategic, and strong creative brief. 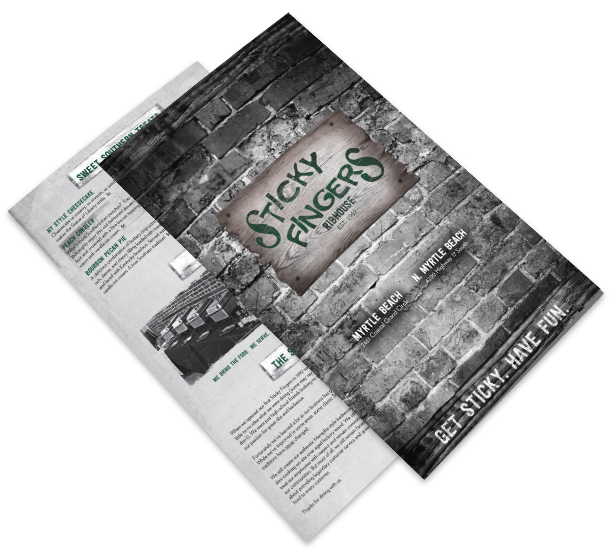 Then, we built a look, feel, and tone for the brand that stayed true to Sticky Fingers’ barbecue roots and distinguished it from the competition with a personality as unique as its name. 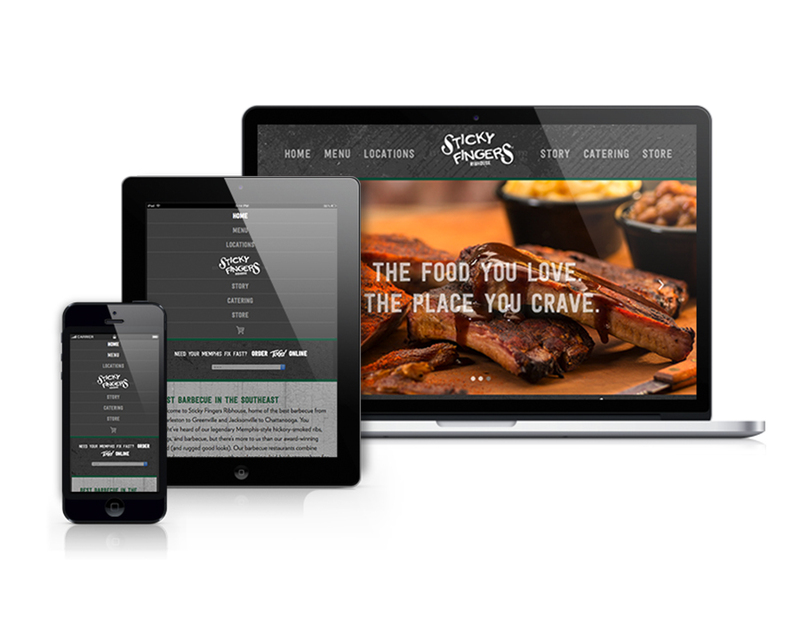 That brand came to life in a new responsive website, featuring eCommerce functionality for Sticky sauce, swag, and more. 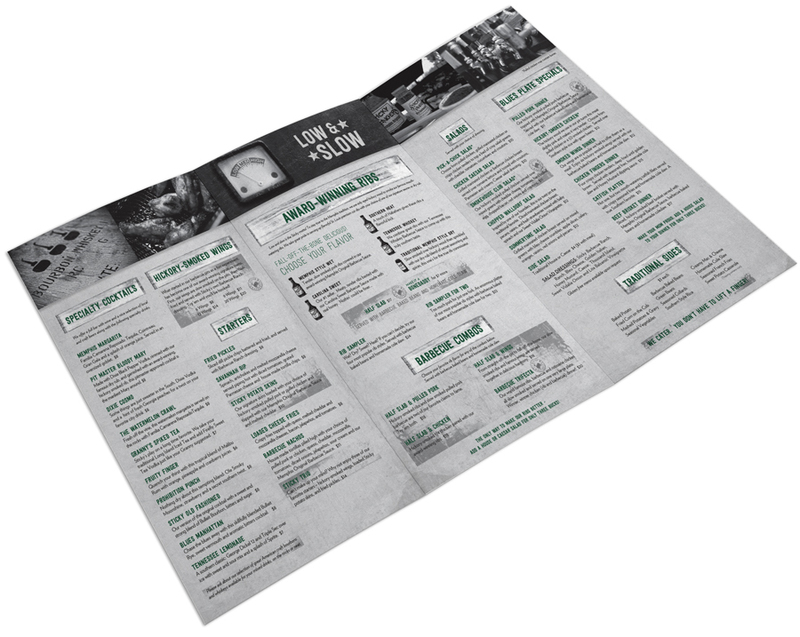 We also built out online to-go ordering, which wasn’t available on the old website. And we punched up the search engine optimization with keywords, tags, and more. The new brand also meant new menus, new crave-worthy photography by Mathew Scott of Scott Shot Photography, email campaigns, snazzy t-shirts, and more. Not every brand can work #Cuegasm into a social media post, but we’re sure glad we get to work with one that can.